Homecare services that go further. What is home medical oxygen therapy? Home medical oxygen therapy (HMOT) is often prescribed for patients with Chronic Obstructive Pulmonary Disease (COPD). This is a lung condition that is common among older adults and covers conditions including emphysema and chronic bronchitis. Low oxygen levels in the body can also be caused by pulmonary embolism, cystic fibrosis, pulmonary hypertension, heart failure, chronic asthma, obstructive sleep apnoea and some cancers. Extensive studies in the past decades have shown that people with low levels of oxygen in their blood may benefit from receiving oxygen therapy. How does home medical oxygen therapy work? Healthy lungs provide adequate levels of oxygen to the vital organs that enable the body to function. When the lungs are damaged as a result of lung disease, they may not deliver enough oxygen to the blood. The body can function with low levels of oxygen for short periods of time, but longer exposure to low oxygen levels may compromise the function of vital organs. This can damage the body. Home medical oxygen therapy can help those with confirmed low blood oxygen by providing enough oxygen to vital organs. How can oxygen therapy help me? Home medical oxygen therapy helps to return your blood oxygen levels to normal. This allows your body to function normally. Many home medical oxygen patients report feeling less tired as a result of the therapy. Others describe being able to concentrate better and feeling more energetic throughout the day. However, even if you don’t experience these improvements to your well being, oxygen therapy is still important to keeping you healthy. How do I get started on home medical oxygen therapy? Your doctor will test your blood oxygen levels and identify the right therapy for your respiratory condition. Your doctor will prescribe a certain duration and medical oxygen flow rate for your therapy. What medical oxygen therapy equipment is available? BOC Homecare offers all the equipment commonly used for home medical oxygen therapy, ventilation therapy and aerosol therapy. We use equipment supplied by the leading global manufacturers and provide patient education and support in their use. The most common type of home medical oxygen therapy equipment is the medical oxygen concentrator, which concentrates oxygen by filtering nitrogen out of the air. A medical oxygen concentrator can be a stationary device that uses electricity and includes a length of tubing that allows the patient to move freely around the home. Another type of medical oxygen equipment is the portable oxygen concentrator (POC). 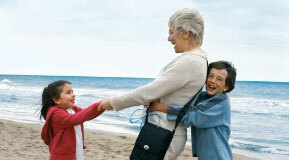 Portable oxygen concentrators are lighter and allow the patient to leave the home and even travel. People who have been prescribed long-term medical oxygen therapy may also need medical oxygen cylinders as backup for their concentrator. The large, freestanding cylinders are designed for home use, whereas the lighter, portable cylinders can be carried in a backpack or attached to a wheelchair or walker. For patients requiring ventilation or aerosol therapy, BOC Homecare offers stationary and portable nebulisers, spacers and peak flow meters and room vaporisers. Will I be able to enjoy normal daily activities during home medical oxygen therapy? Getting used to medical oxygen equipment takes some time, but home medical oxygen therapy does not have to limit your enjoyment of daily activities. Many patients do not need to use oxygen on short trips outside the home. Portable oxygen concentrators (POC's) allow patients who need continuous medical oxygen therapy to go on short outings and even travel. Questions to consider when planning trips outside the home include how you will transport your equipment, will you have access to an oxygen supply at your destination and, in the case of air travel, whether you need a letter from your doctor stating that you are fit to travel. It is also important to have a plan for possible power blackouts, which may prevent the use of a stationary oxygen concentrator. Being prepared for any emergency will help you feel more confident and in control of your therapy. How will BOC Homecare support my medical oxygen therapy? At BOC Homecare, our goal is to create a better quality of life for our patients in the home. We do more than simply deliver the product to the patient’s home. Our trained staff can install the device and educate the patient and family to achieve the best outcomes. Our Customer Support Centre is available to answer questions and meet requests for help. With any questions on how BOC Homecare can help with your medical oxygen therapy, please contact our friendly Customer Support Centre at 1800 050 999 or email us at homecare.au@boc.com.